Can a simple cream really give you larger, firmer breasts? Procurves is an innovative breast enlargement cream introduced to the UK by StressNoMore; formulated from 100% natural ingredients, Procurves is known to work with fast, permanent results. Procurves contains natural plant extracts developed specifically to stimulate and achieve breast growth similar to that produced during puberty. Applied just once a day to clean, dry skin Procurves will boost not only your bust but also your confidence. Most users of Procurves Breast Enlargement Cream have reported impressive results within the first 4 weeks of treatment. However, there are individual contributing factors to consider such as metabolism and body type so one person may react faster than another. Your breasts will grow 7% after just a month of treatment and a huge 13% after finishing a 3-month treatment; but not only will your size will change; your breasts will also become firmer and shapelier, and the best bit is the results are permanent. You can help speed the process of seeing results through exercise, that’s right, by toning the muscle which lies behind your breast tissue your breasts will become firmer and appear fuller. Try push-ups or weighted arm exercises. 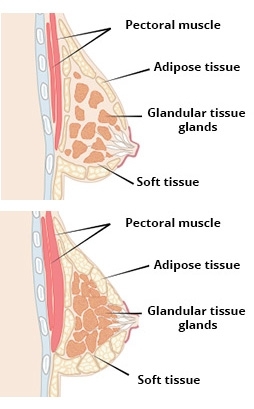 During puberty the female body naturally produces oestrogen which is responsible for the development of breast tissue. Unbalanced hormones can negatively affect the growth and development of your chest. When you end puberty, your body stops producing most of the ingredients that promote breast growth, such as oestrogen, thus ending the cycle of growth. Thanks to the exclusive Procurves formula, you can achieve growth of the breast tissue resulting in larger, firmer, shapelier breasts without pills or breast augmentation (or breast surgery). What’s more, the ingredients of Procurves give you a better balance and regulation of female hormones that contribute to your health. All of the ingredients in Procurves Breast Enlargement Cream are 100% natural and safe having been clinically controlled and tested to unsure purity. Procurves contains ingredients of only the highest quality and no synthetic additives; no side effects and no risk. Your breasts are an important part of your female being and if you’re not happy with them, your confidence and take a real hit; Procurves can really make a difference.